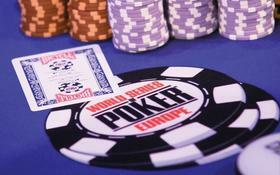 After a solid run in London, England the World Series of Poker Europe is heading for Cannes, France. The news came at a press conference this morning where Caesar’s Entertainment, who owns the World Series of Poker brand, announced the locale change. The announcement detailed that Lucien Barriere, French Caesars Games and Interactive Entertainment will take over hosting the WSOPE beginning this year. According to PokerNews.com, the deal is for three years which will see Cannes host the WSOP Europe through 2013, and the 2011 WSOPE will take place from October 7-21, 2011. Other details that were announced were the addition of two more bracelet events, bringing the total up to seven. There has been no word yet on why the WSOP Europe has decided to change locations, and the move caught most of the poker industry by surprise considering the strong attendance numbers, growth, and publicity the tournament series has seen in London –The WSOPE has taken place at the Casino at the Empire in London, England since its inception in 2007. My gut feeling is that the move will have little impact in wither a positive or negative, but you never really know with these things; although this will likely put a damper on London being the poker hotspot during the fall months where they are used to a successive string of major tournaments: The WPT London, followed by the WSOPE, and finally the EPT London. This entry was posted on Wednesday, February 9th, 2011 at 3:42 pm and is filed under Poker News. You can follow any responses to this entry through the RSS 2.0 feed. You can leave a response, or trackback from your own site.